Spring has sprung! Time to put a little pep in our step. 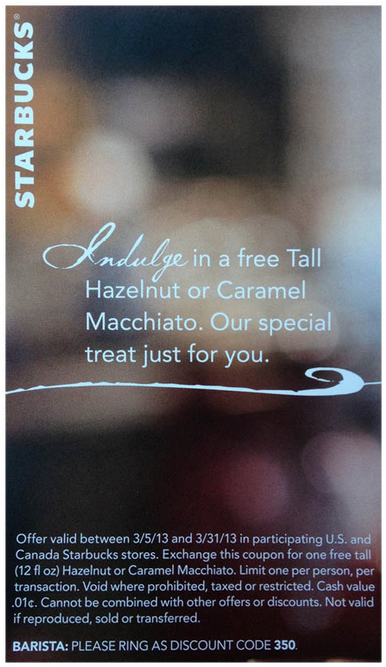 Starbucks is offering free caramel or hazelnut macchiato to its customers. Bring this coupon to you local Starbucks for a free tall drink. One free drink per person. This offer is valid until 3/31/13. What are you waiting for? Get your free Starbucks today! Thanks! I love free coffee! Mmm, yay for free coffee!! Thanks!